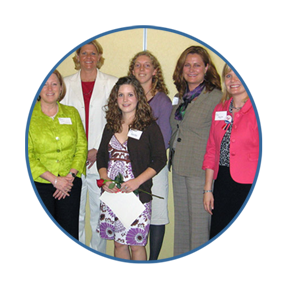 The Lakselaget Scholarship and Opportunity Fund was established to celebrate, encourage and advance the organization's motto, women who swim against the current. Its goal is to promote the international connections between Norway and Minnesota, and learn, teach and share knowledge that will benefit women in their complex roles in today's society. 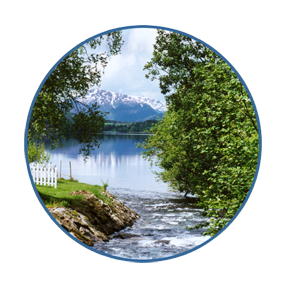 Applicants for the Lakselaget Foundation Scholarship Fund should have an interest in contemporary Norway and all things Norwegian, and a desire to develop their own interests in another field, such as the sciences, technology, business, politics, language and culture, and who seek to enhance and disseminate their knowledge. The scholarship is also available for Norwegian women who want to learn more about the United States, specifically Minnesota. Applicants for the Lakselaget Foundation Opportunity or Work Study Fund should be in a work situation where a short-term position in a similar job in Norway would be beneficial to their career. This opportunity could be used to supplement funding for an international exchange or internship within the same field, or for a short-term work opportunity that provides a chance to learn about another country. The funds should augment the applicant’s salary during this short-term work opportunity or internship. When selecting recipients, matching funds from any of the companies involved will be taken into consideration. The Lakselaget Scholarship Fund was established to celebrate, encourage and advance the organization's motto, women who swim against the current. Its goal is to promote the international connections between Norway and Minnesota, and to learn, teach and share knowledge that will benefit women in their complex roles in today's society. If no applicant fills all these criteria, no scholarships will be awarded. The money will stay in the fund until the following year. The number of scholarships given each year will depend on the funds available. Look at the GPA, but also place emphasis on the type of classes and the academic maturity the student displays. Is she breaking new ground? How has the job or life experiences, contributed to the betterment of the student? Are her class choices and the timing of this scholarship realistic toward completing her timeline of study? 3. HAS THE STUDENT DEMONSTRATED AN INTEREST IN CONTEMPORARY NORWAY AND HOW IT RELATES TO THE STUDENT'S OWN FIELD OF STUDY OR FUTURE GOALS? Determine if the student's interest in Norway/Minnesota has been a sincere interest for some time. The applicant's interest should be greater than having a relative emigrate from Norway. It should be an ongoing interest, such as Norwegian classes, membership in a Norwegian organization, Camp Norway, trips to Norway, Concordia Language Camp (Skogfjorden) or Scandinavian studies. A similar measure should be used for Norwegian students wishing to study in Minnesota. Is the essay well written, clear and succinct? Does it address the points requested in the application? A short, 1,000-word essay which clearly describes why study in Norway/Minnesota is essential to you, what you expect to contribute to your world in the future, your ideas for sharing ideas internationally, and how your studies upholds Lakselaget's motto, "Women who swim against the current". Does it convince you that the applicant truly wants to study and learn? Look at the student's larger purpose in undertaking study in Norway, including the potential benefit to the student or to future relations between Norway and Minnesota, or the promotion of current Norway, and how all of it might benefit Lakselaget at large. How will a stay in Norway/Minnesota/University of North Dakota, Grand Forks contribute to the individual's development and personal growth? If possible, conduct a personal or phone interview before any final decision is made. Applicants must make themselves available by phone if the Committee requests an interview. Below are guidelines for Lakselaget's scholarship policy. These should be review annually by the Foundation Director, the Scholarship Selection Committee and the Board. Lakselaget members and their children may apply, but must compete along with all applicants. Siblings may apply and be awarded scholarships, but only one sibling per year. Any selection committee members who is related to or has close ties with any applicant, must recuse herself from the committee and an alternate will be substituted. If the student has received the scholarship and, without reason, decides not to study as planned, the scholarship must be returned in full. If time allows, the next applicant next in line may then be given the scholarship. If the student becomes ill and must return home, all efforts should be made by the student to obtain a refund and return the unused portion of the funds to Lakselaget. She may apply again at a later date. A letter from the doctor should be sent to the scholarship committee. issues and all things Norwegian. women who swim against the current. 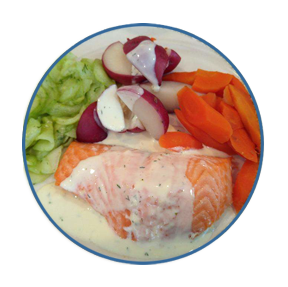 of salmon, potatoes and cucumber salad. 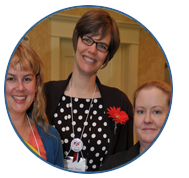 We are a vibrant group of professional women who are interested in contemporary Norwegian issues and all things Norwegian. Copyright © 2016 Lakselaget. All rights reserved.